The United Nations Industrial Development Organization (UNIDO) and Dell have signed an agreement to cooperate on identifying and implementing a sustainable solution model for e-waste management for developing countries in Africa, Asia and Latin America. Developing countries are expected to account for the majority of discarded electronics by 2016, and twice that of developed regions by 2030. The memorandum of understanding signed by UNIDO’s Director General LI Yong and Dell Inc.’s Executive Director of Sustainability David Lear (pictured with Jean Cox-Kearns, Director of Compliance – Dell Global Takeback), commits the two organizations to work together for a five-year period, with an option to extend the partnership. “Enabling recycling infrastructure in developing countries has significant benefits for the environment and local community, and facilitates Dell with the recovery of valuable resources currently being discarded. Together with UNIDO we will work to establish or up-scale facilities to operate environmentally sound management practices that meet international standards for e-waste recycling and further powers the circular economy for IT,” said Lear. Click here for more. 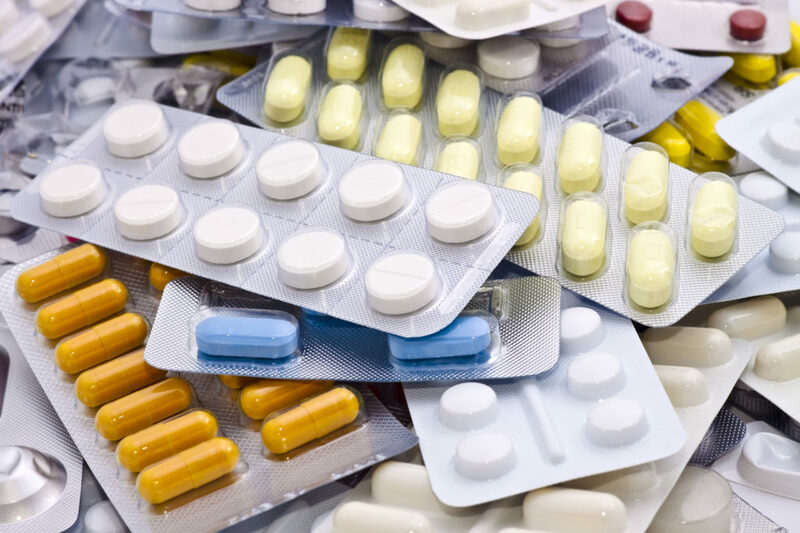 The changes apply to controlled substances including opioid painkillers such as OxyContin, stimulants such as Adderall and depressants such as Ativan that previously could not legally be returned to pharmacies. Participation in the program will be voluntary. Click here for more. Guest blogger Alison Keane, Vice President for Government Affairs with the American Coatings Association, is also the General Counsel and Corporate Secretary for the Association’s PaintCare product stewardship organization. Paint – when disposed of – is often the largest volume product collected by municipal household hazardous waste (HHW) programs: an estimated 10 percent of the more than 650 million gallons of architectural paint (paint used to coat the interior and exterior of houses and other structures) sold each year in the United States goes unused. Much, if not most, of this is latex – which is considered “non-hazardous” according to US EPA testing protocols. This paint is typically managed along with other products in HHW programs as a hazardous waste, which can be very costly. In addition, management of latex paint poses a challenge for many municipalities and counties because liquid latex paint cannot be disposed of as “mixed municipal solid waste” in the regular waste stream. Simply put, post-consumer paint collection is currently beyond the capacity of, and budgets for, many local governments. However, latex paint has potential for recycling and diversion from landfills, and as such, the paint industry favors not regarding leftover paint as waste but rather as a resource that is meant to be completely used or reused. Thus, the paint industry supports and has championed an extended producer responsibility (EPR) or product stewardship approach, an approach that is increasingly being implemented in the United States and in other countries for other products. All participants in the life-cycle of a product have a role to play – manufacturers, retailers, consumers, and government. However, if producers are going to have the primary responsibility for the end-of-life management of their products, they must be given the ability to develop, own and operate the programs – and not simply be forced to fund current programs. The American Coatings Association (ACA), after more than five years of promoting a model solution for post-consumer paint management, was instrumental in securing passage of the first-ever paint product stewardship law in the United States in the state of Oregon in July 2009. Since then, parallel legislation has been enacted in California, Connecticut, Rhode Island, Vermont, Minnesota, Maine, and Colorado. Click here for more. Proudly sponsored by TES-AMM, Dell, TechCollect and SERI. Click here for more details, including registration and payment information. Guest blogger Brett Giddings is currently undertaking a PhD at UNSW focussed on e-waste and is Manager, Member Services at the Australian Packaging Covenant. The rate of ownership, and ultimately disposal of, electronic devices continues to increase year on year; the StEP Initiative estimating that 48.9 million tonnes of e-waste was produced worldwide in 2012, a figure that is set to increase to more than 65 million tonnes by 2017. At the same time, devices such as mobile phones, laptops and televisions are becoming increasingly complex and challenging to recycle at end-of-life. Recycling the mix of valuable materials within this growing heterogeneous waste stream is important, but simply collecting products from consumers does not ensure recovery. Inevitably some e-waste is shipped to locations where the manual labour, often better suited to dismantling complex products, is more cost-effective and within closer proximity to the manufacturers that will ultimately use the materials recovered. On face value, it is difficult for the public to support e-waste flows to these markets. While the situation is reported to be improving, the environmental and health impacts associated with poor e-waste recycling practices employed by the informal sector are well-documented, legitimate concerns with a quick Google search conjuring up images of youths burning PVC sheaths from copper wires and factory workers sitting in piles of broken CRT TVs and monitors. Parallel to regulatory responses to these impacts is a growth in industry-lead supply chain transparency and certification, yet still the flows of waste (at times illegally) continue, and ultimately find their way to the informal sector. There have been many calls to stop the export of e-waste to regions that involve the informal sector, however there are inherent social benefits and value creation opportunities that should be considered and accounted for. These include the dramatic rises in ownership of refurbished electronic devices in these regions and the resultant social benefits that this access affords. At the same time, the developing world is producing its own increasing volumes of e-waste, with China now outstripping even the US in terms of total tonnes of e-waste produced each year. “Cutting and running”, as with many complex supply chain problems, is not the answer. Click here for more. Sydney, Australia – Federal Minister for the Environment, the Hon. Greg Hunt MP, has announced that FluoroCycle has been formally accredited by the Federal Government as Australia’s second voluntary product stewardship scheme under the Product Stewardship Act 2011. Under FluoroCycle, organisations from the commercial and public lighting sectors (producers of 90 percent of waste lamps) commit to recycling their own mercury-containing lamps. FluoroCycle has 230 signatories including commercial users, building and facilities managers, government departments, recyclers and others involved in the recycling and re-use process. 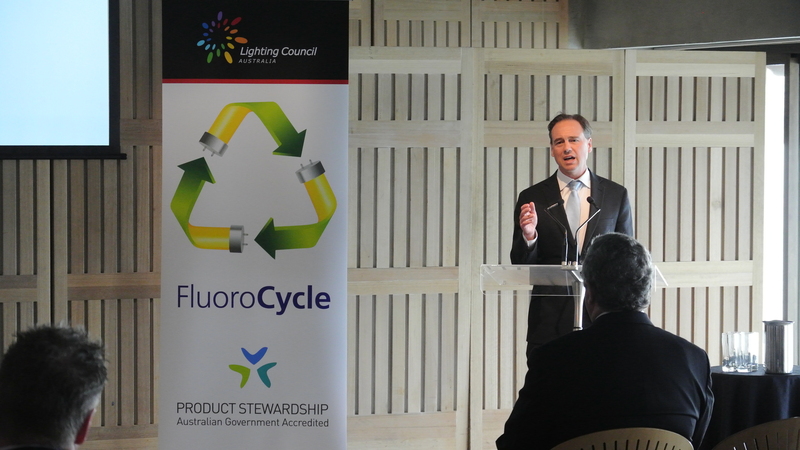 “Fluorocycle is a good example of shared responsibility in action: the big users of lamps undertake the safe recycling of the products they use and the lighting manufacturers and importers work together through Lighting Council Australia to operate the scheme,” said Minister Hunt.